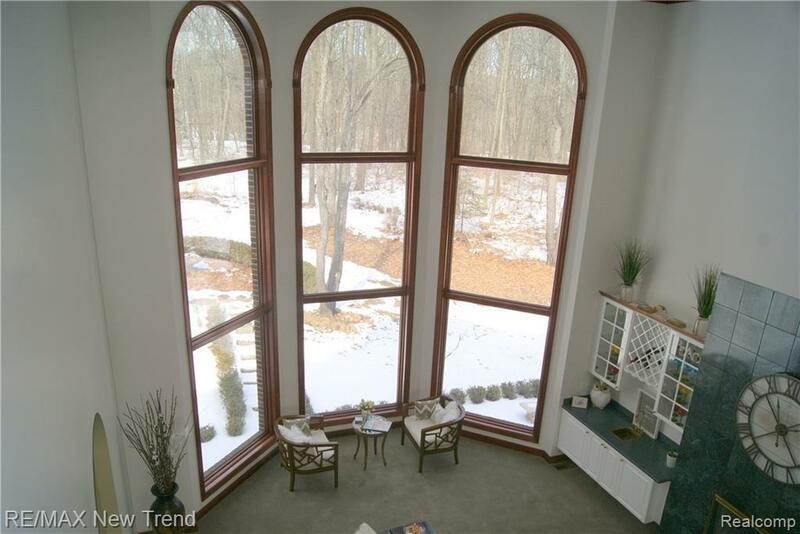 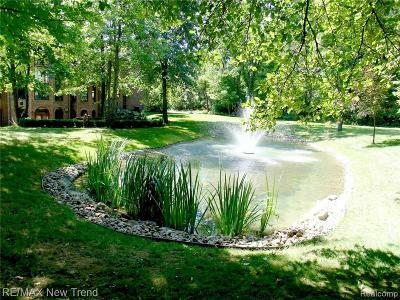 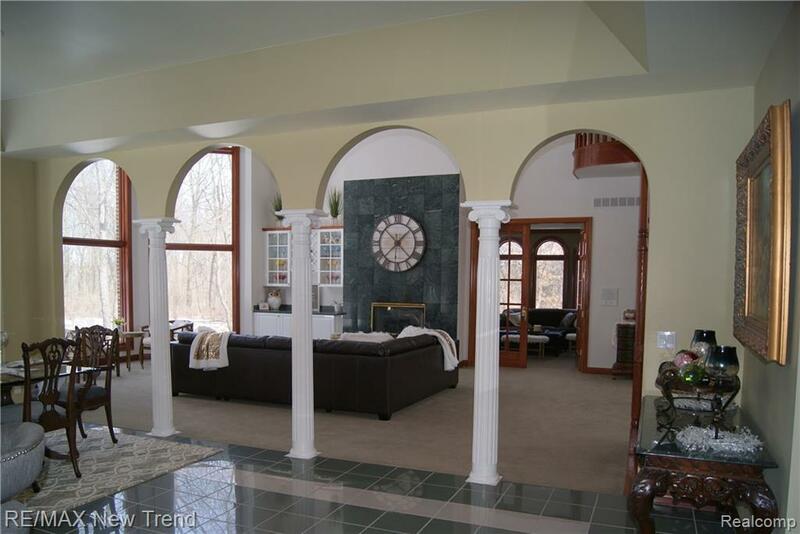 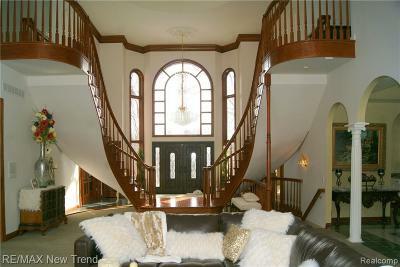 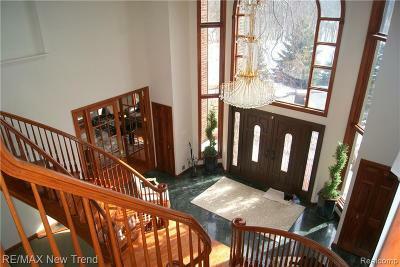 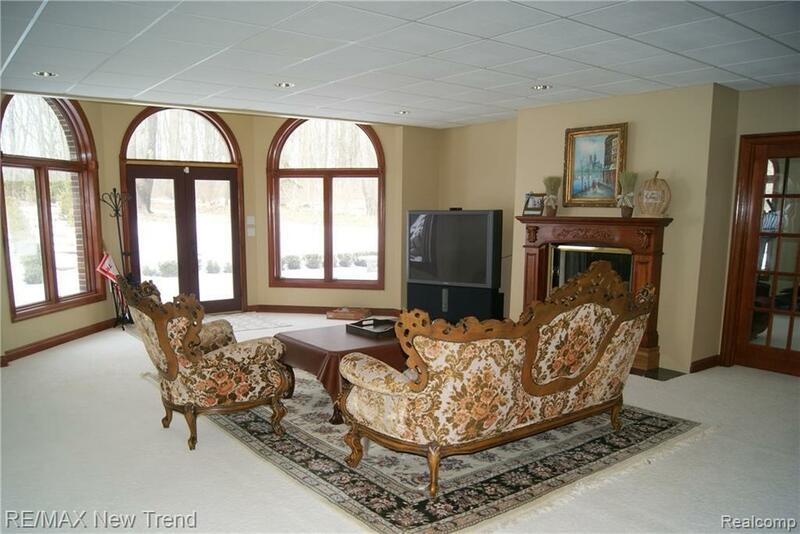 Magnificent Custom Milford Estate Situated on Gorgeous Nearly 3 Acre Hilltop Setting with Serene Backyard & Pond. 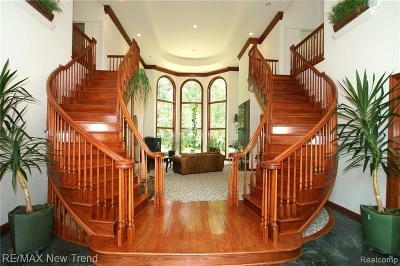 7900 Sq. 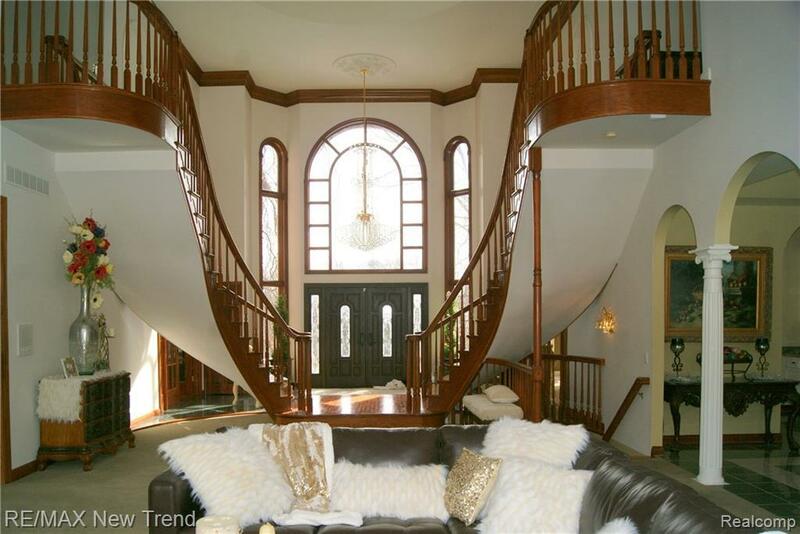 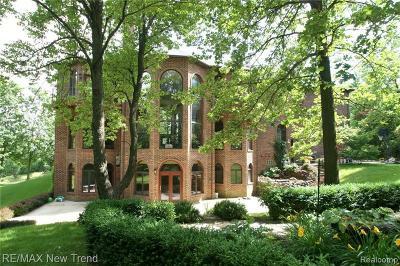 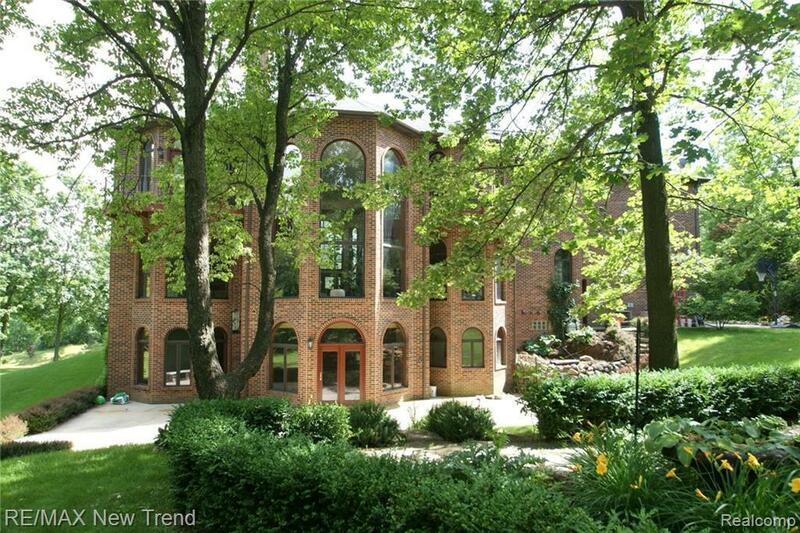 Ft of Living Space w/ Soaring Ceilings, Grand Foyer w/ Dual Sweeping Staircase, 4 Fireplaces, Extensive Marble, Granite, Porcelain, Custom Molding & Trim T/O. 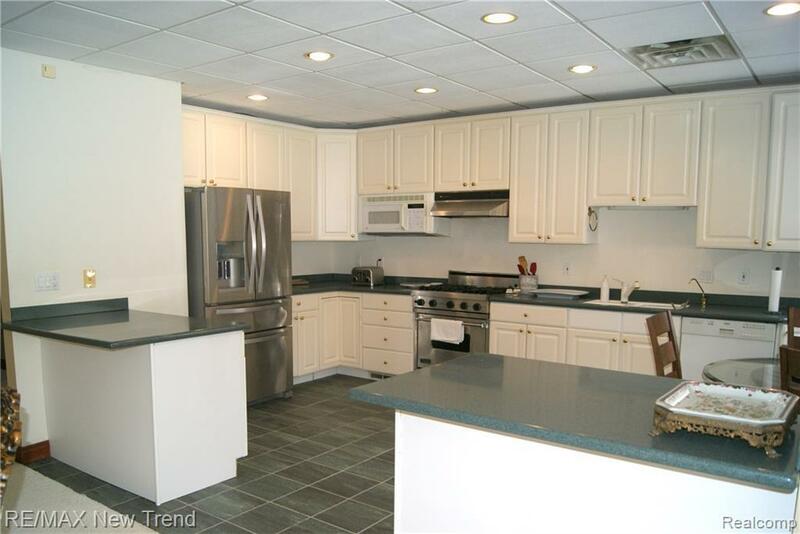 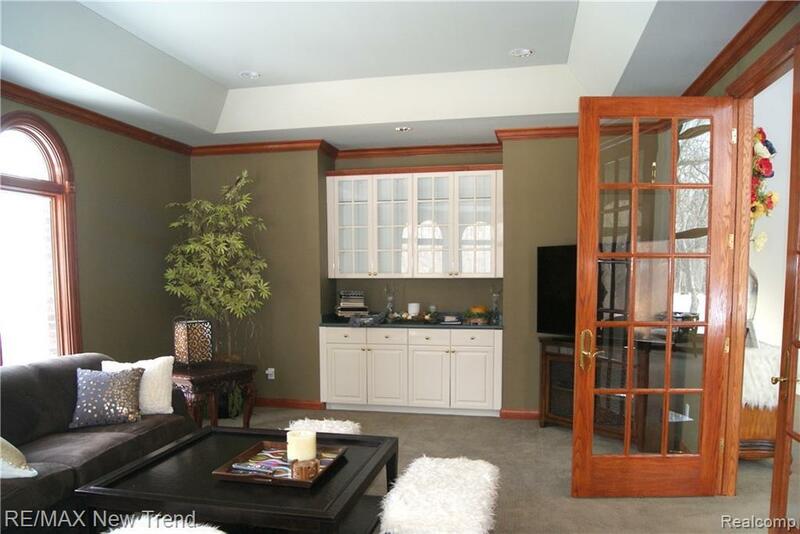 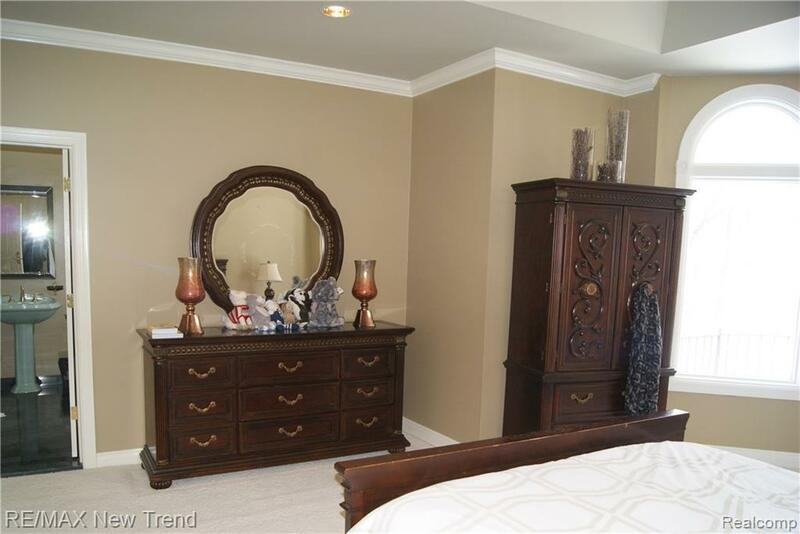 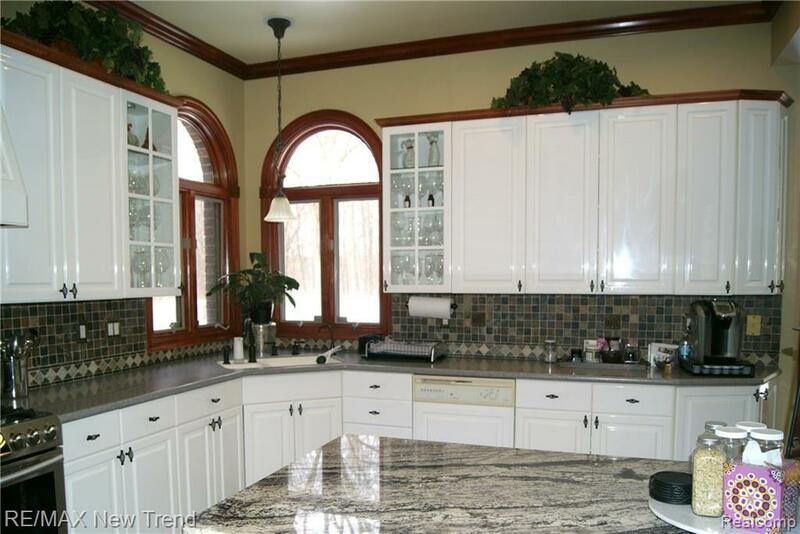 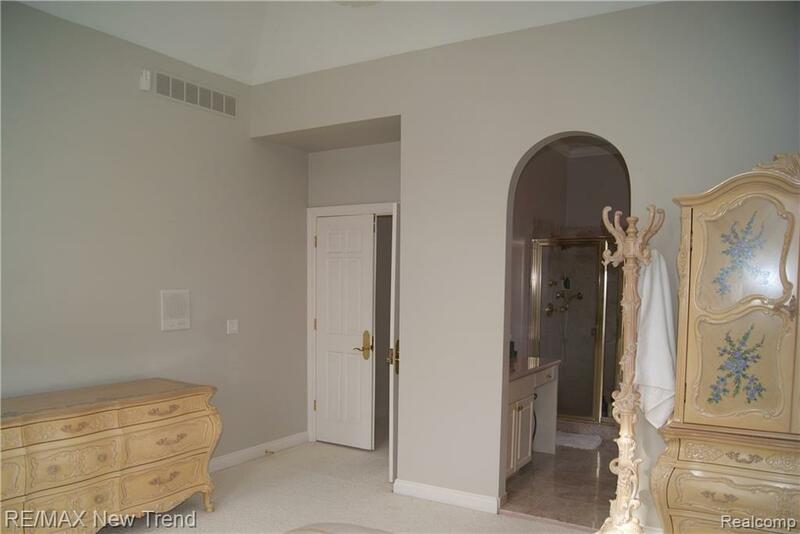 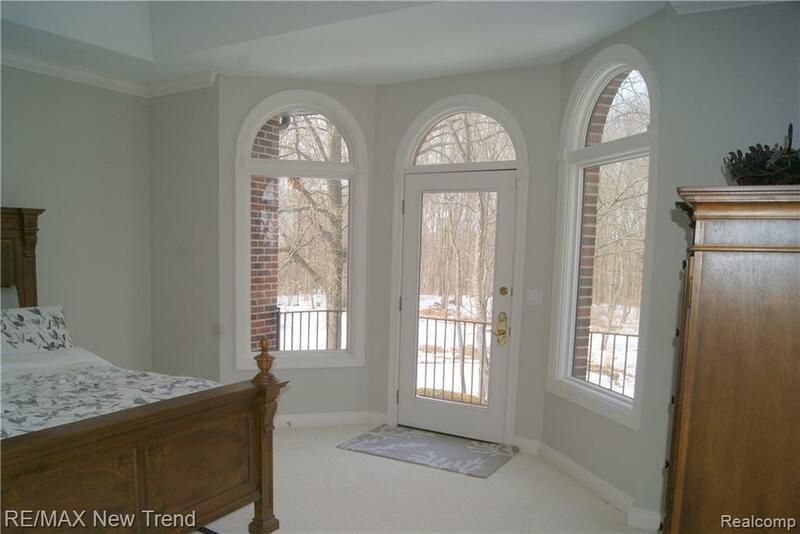 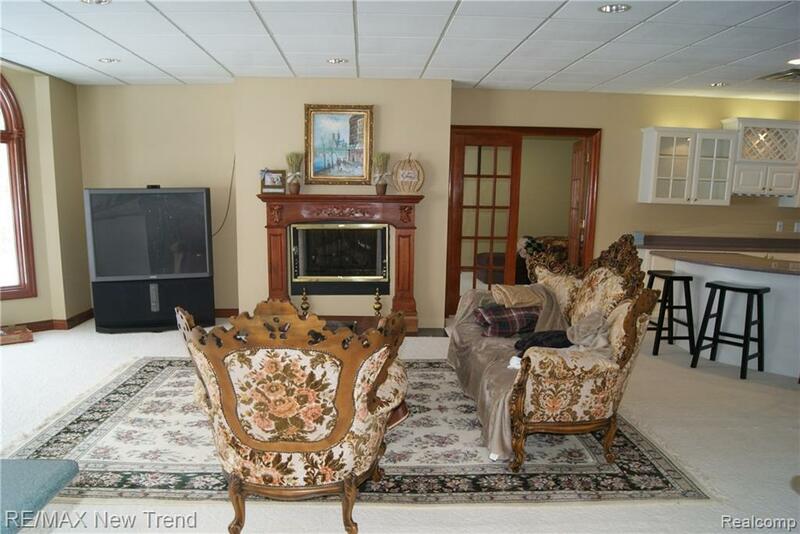 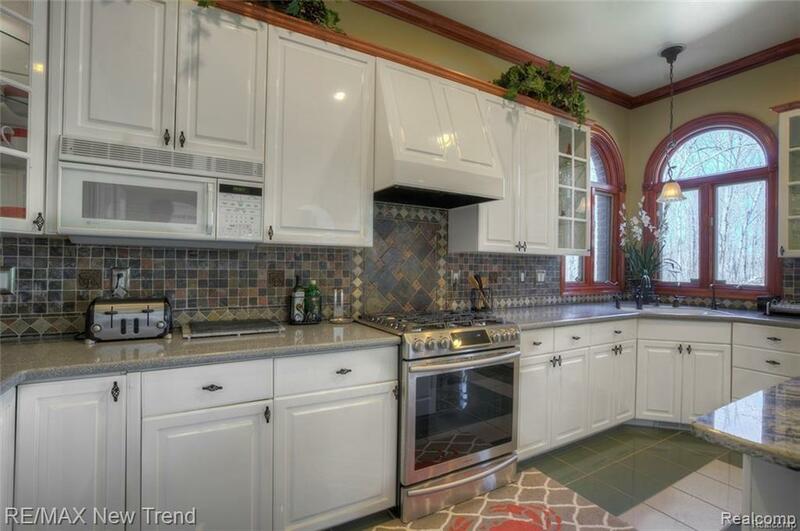 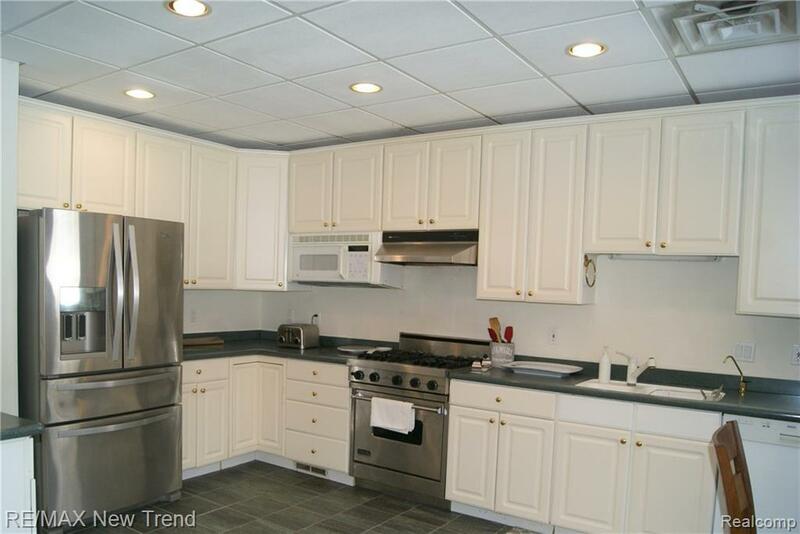 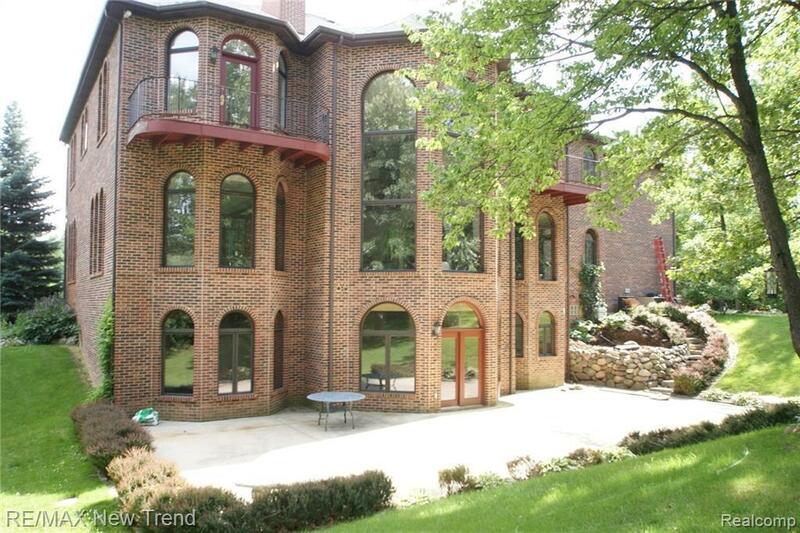 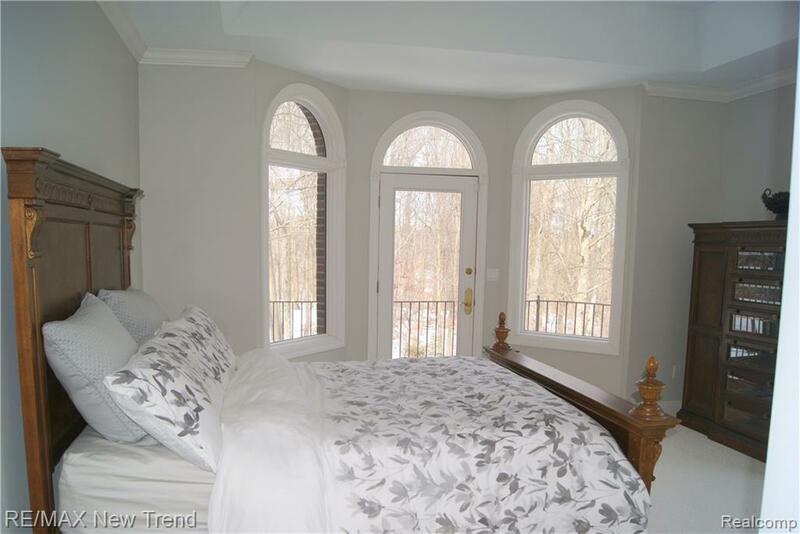 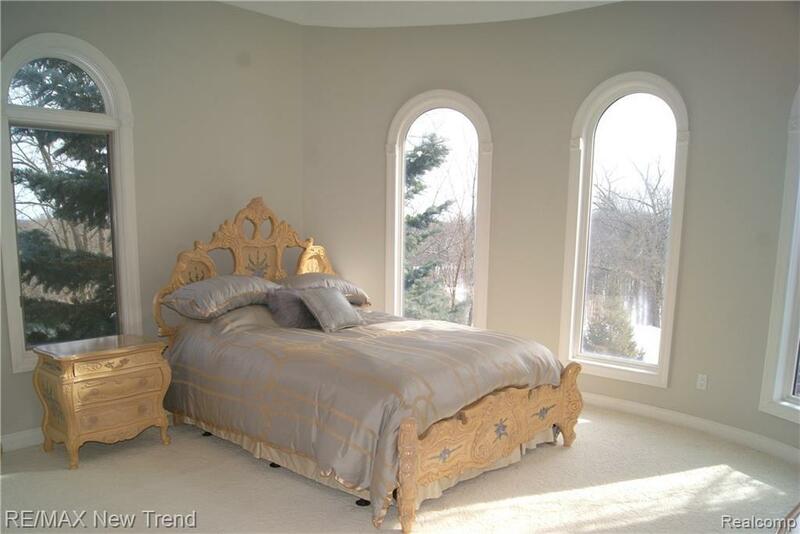 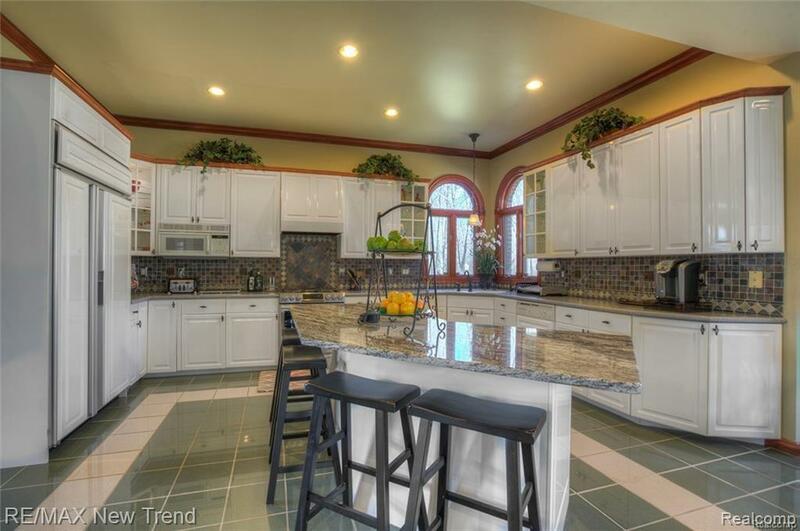 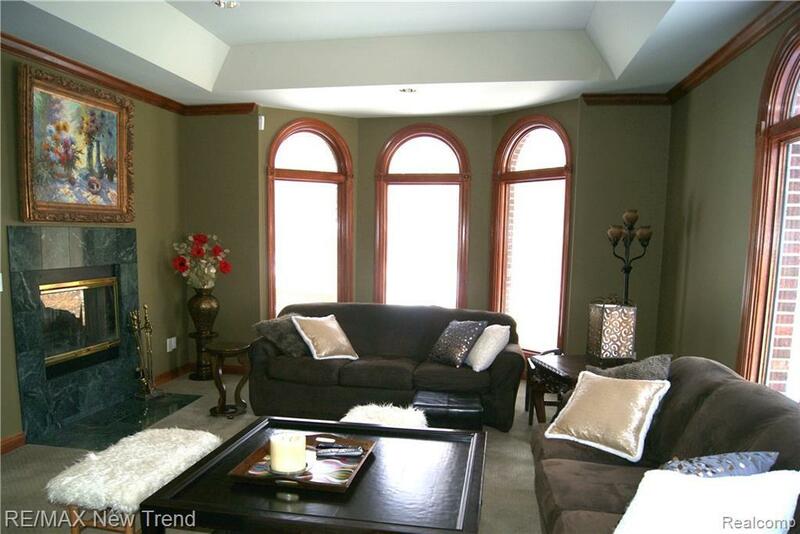 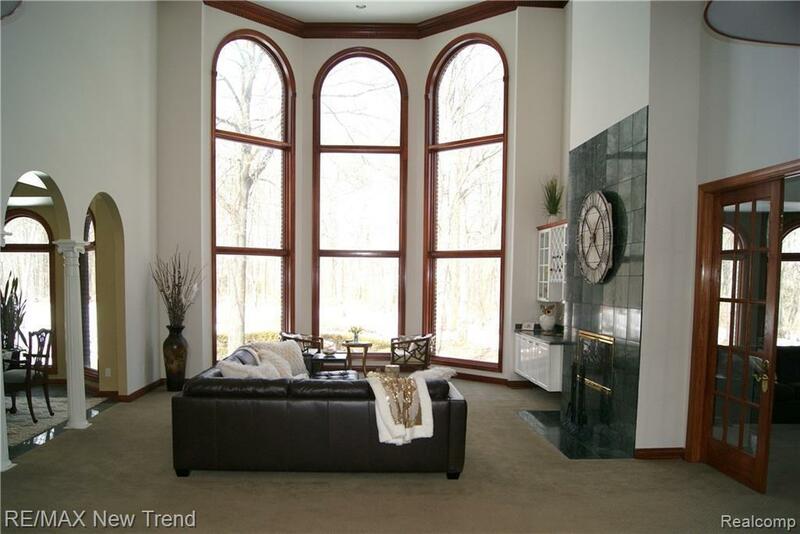 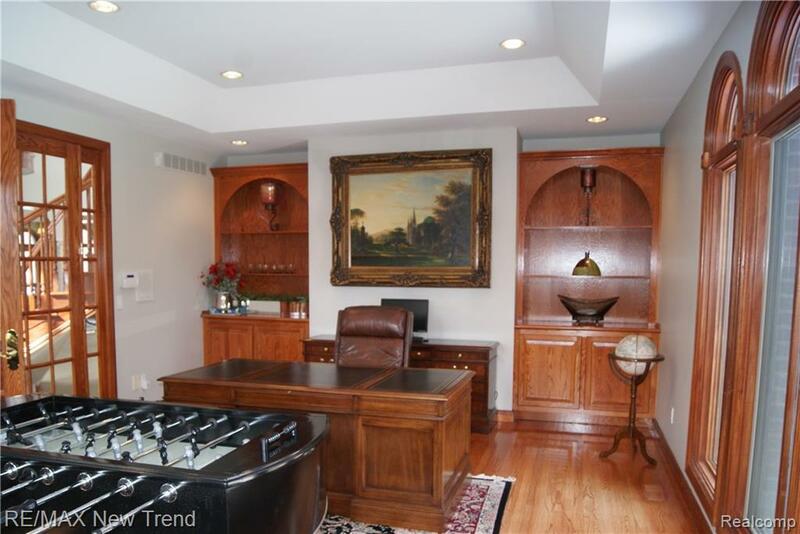 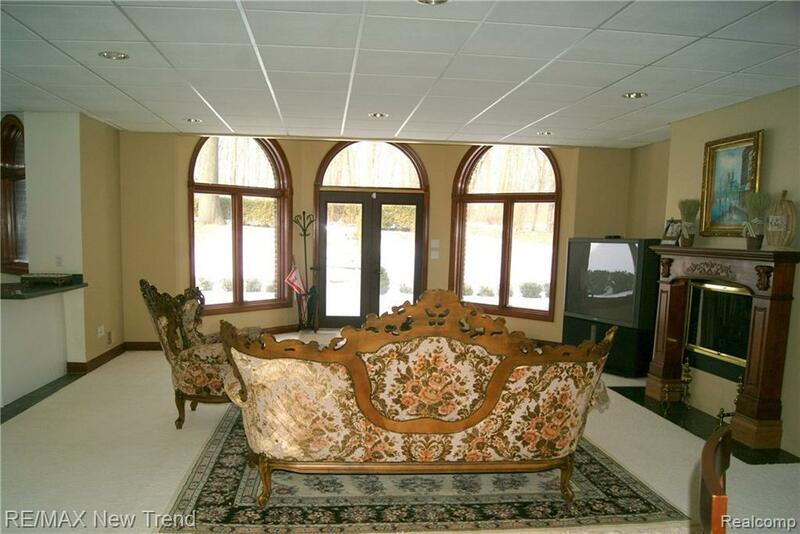 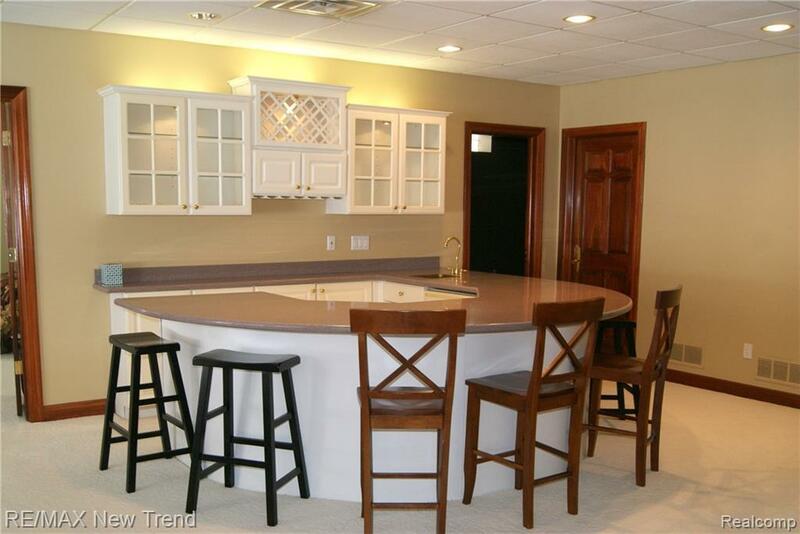 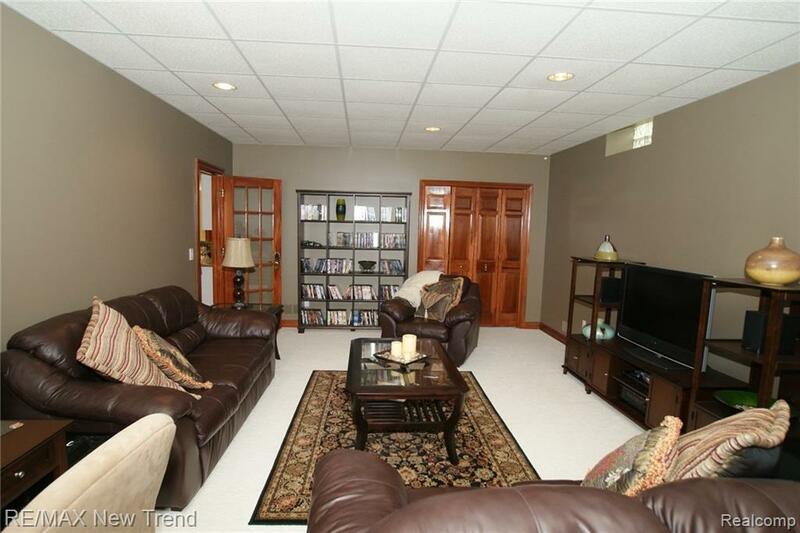 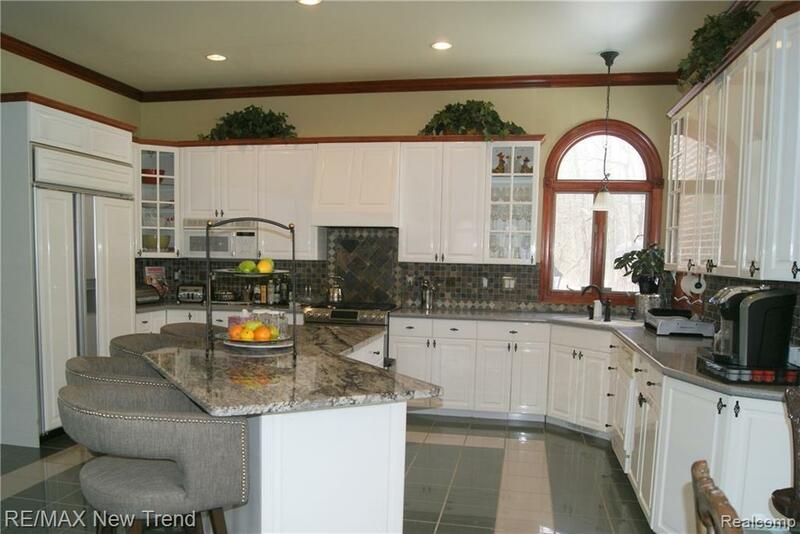 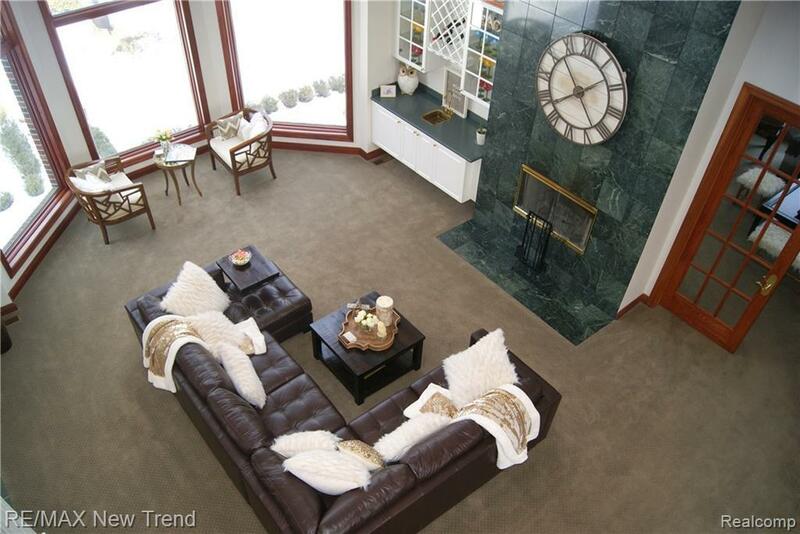 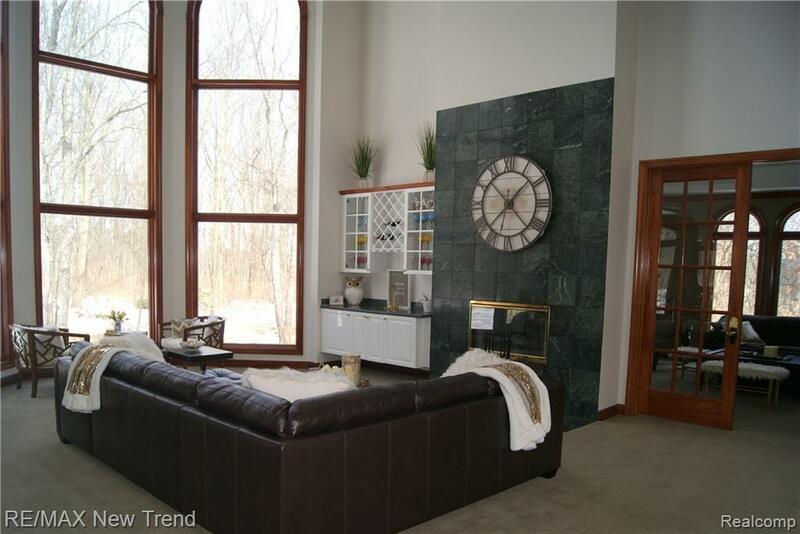 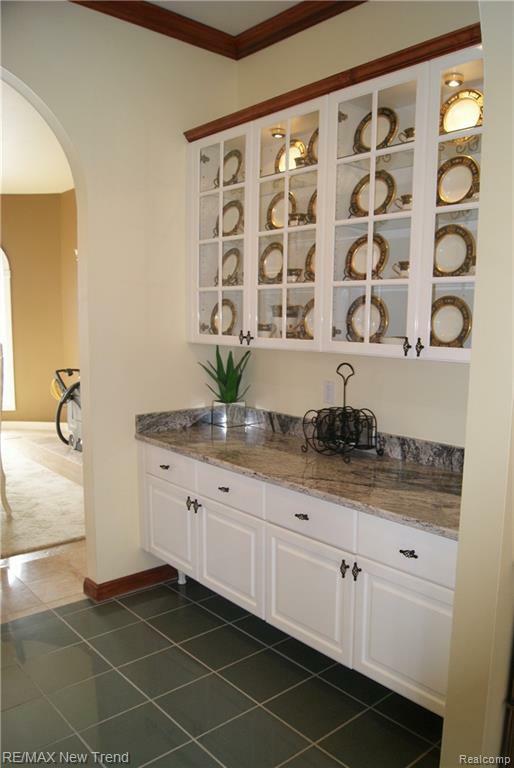 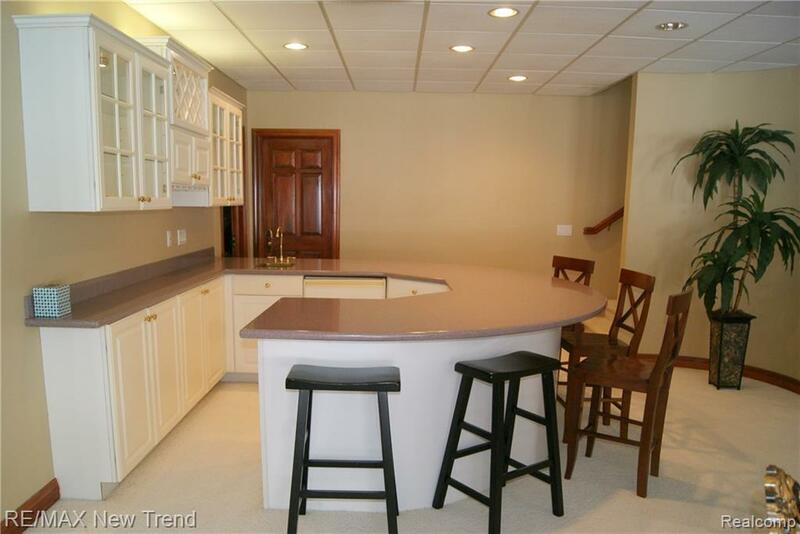 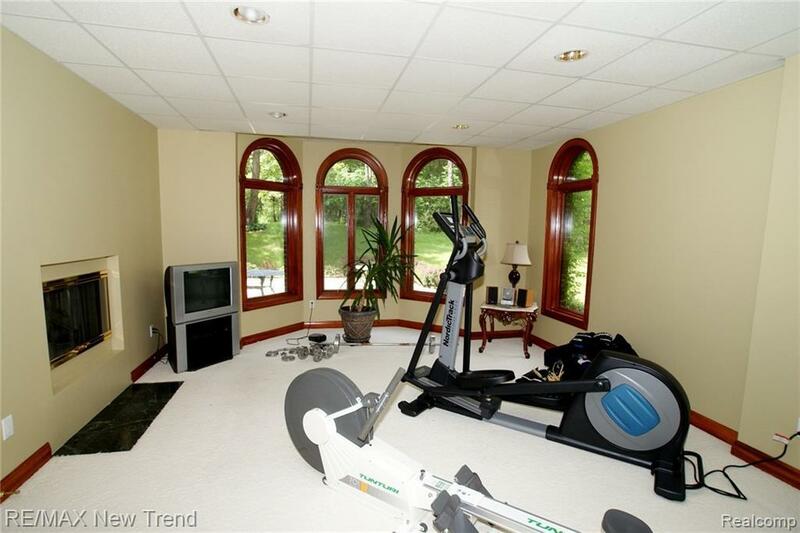 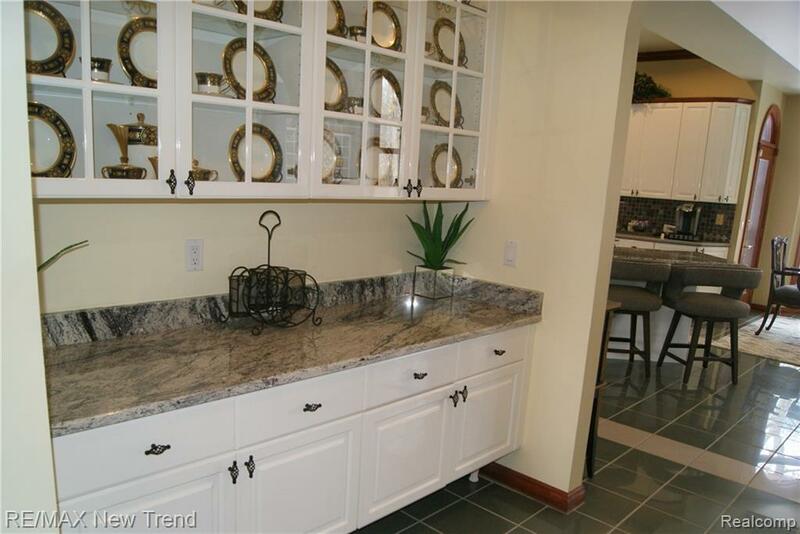 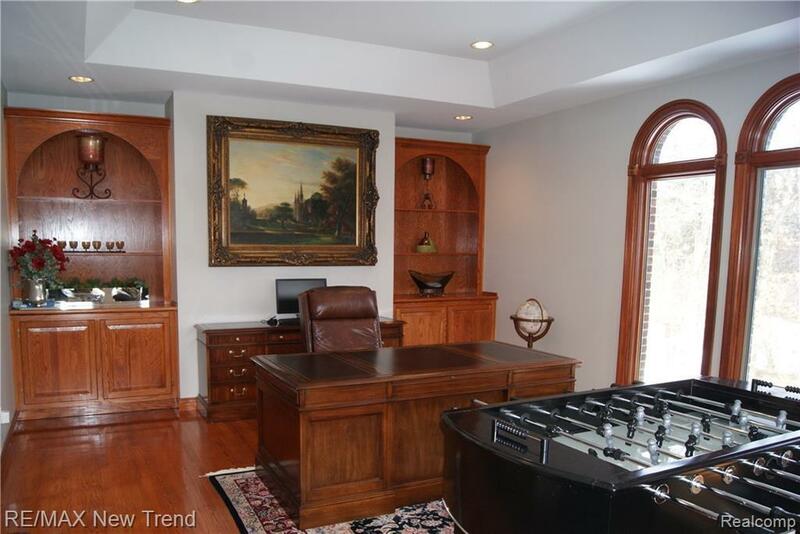 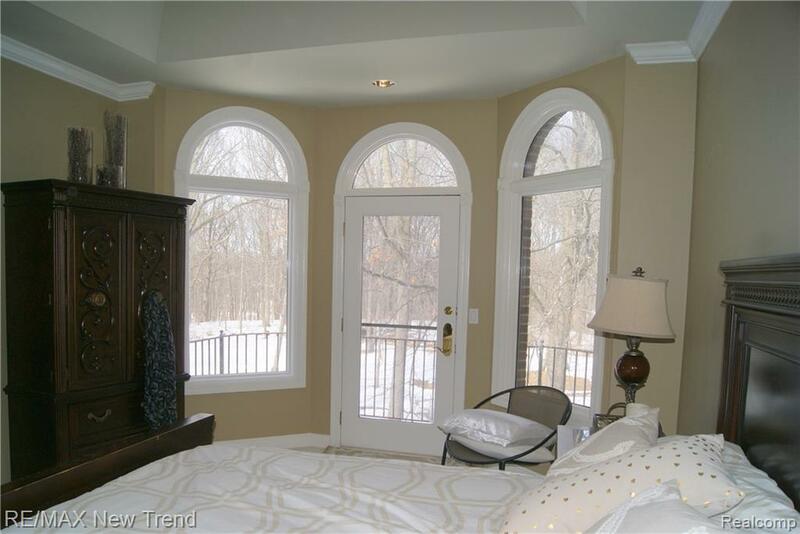 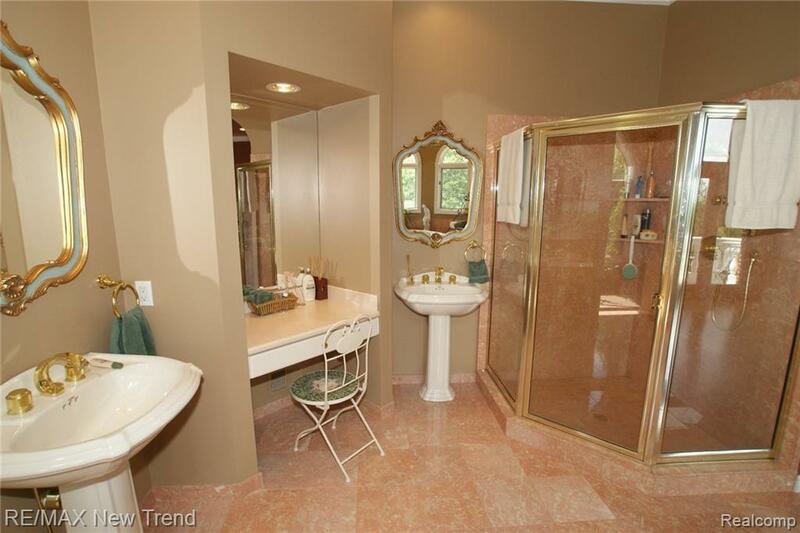 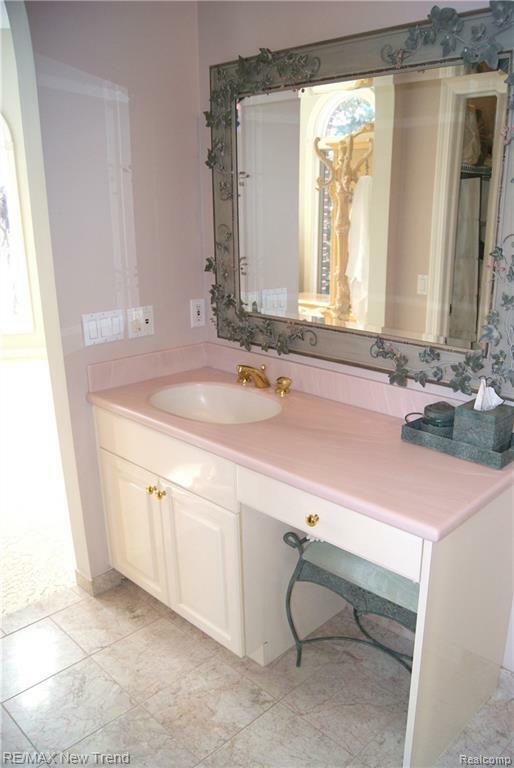 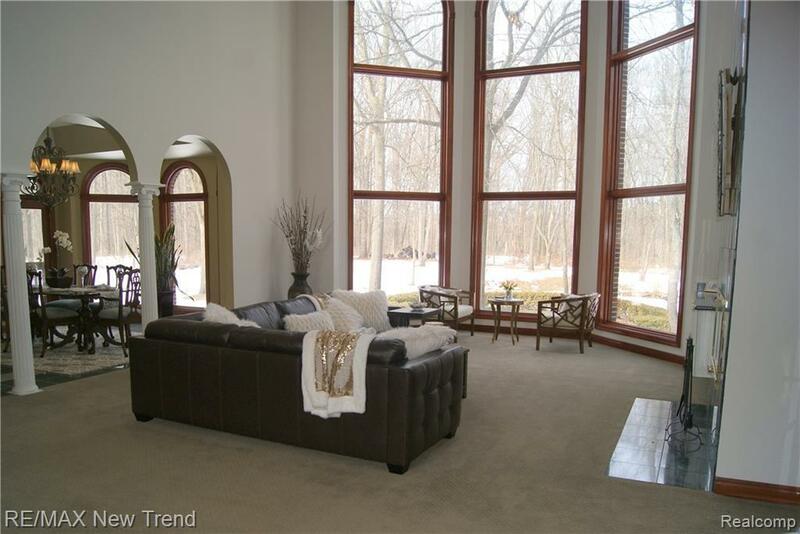 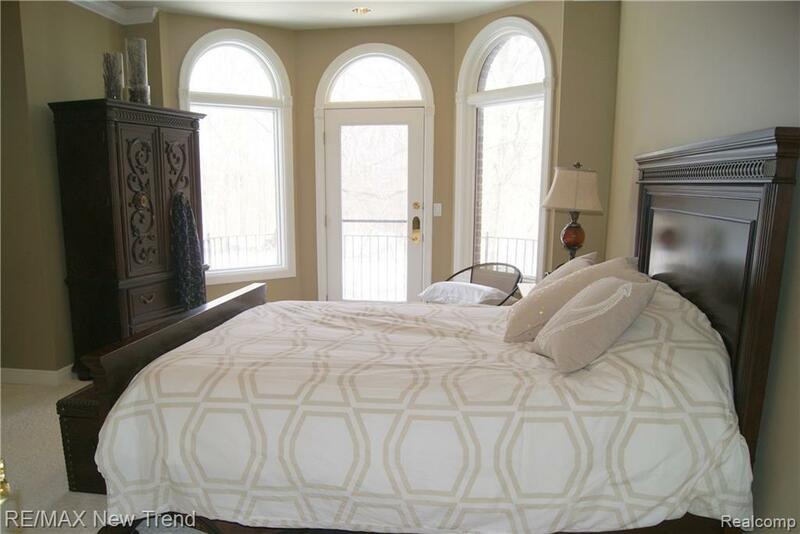 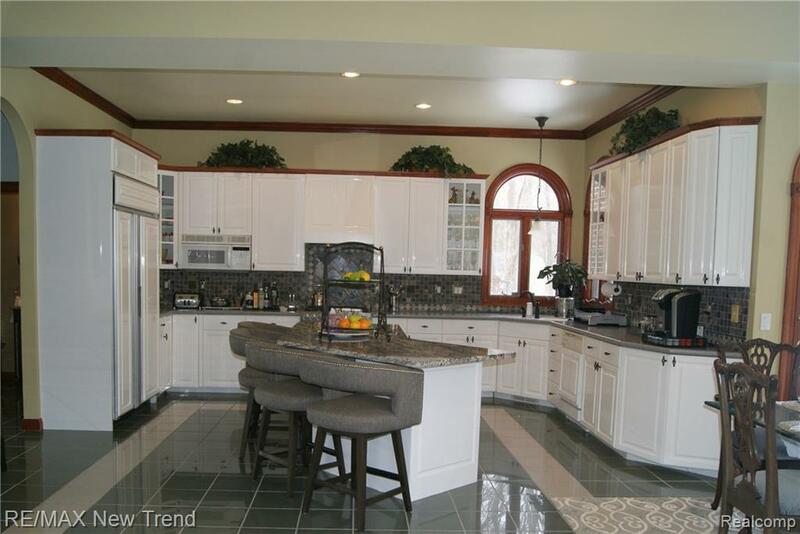 2-Story Great Room w/ Marble FP, Gourmet Granite Kitchen w/ Premium Appliances & Pantry. 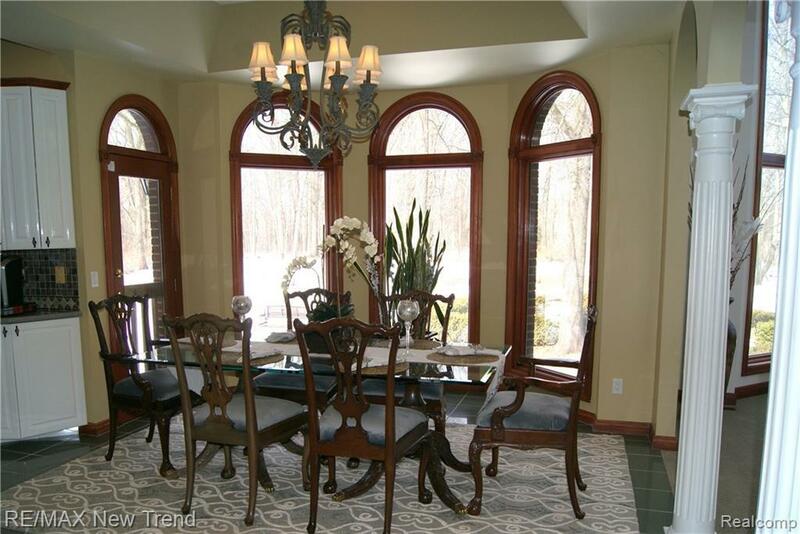 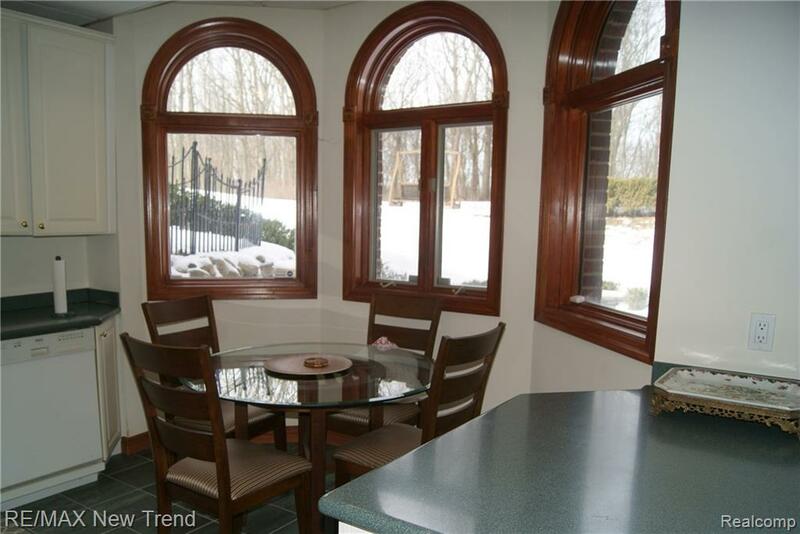 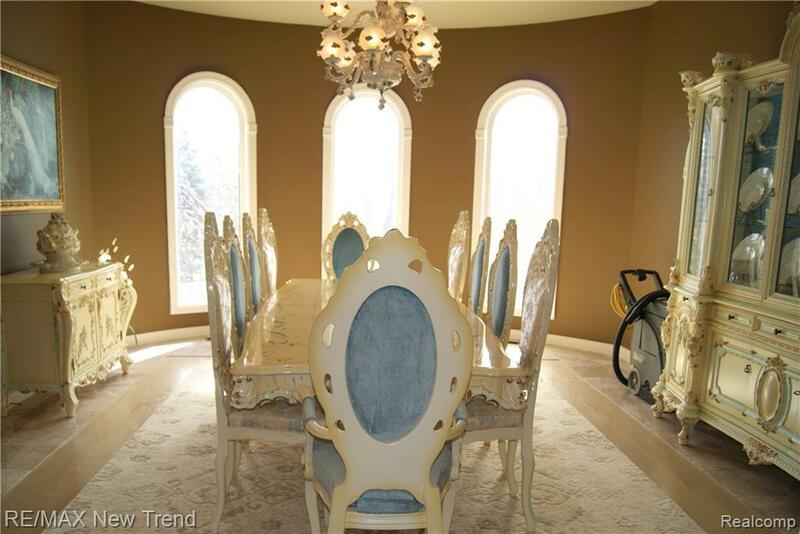 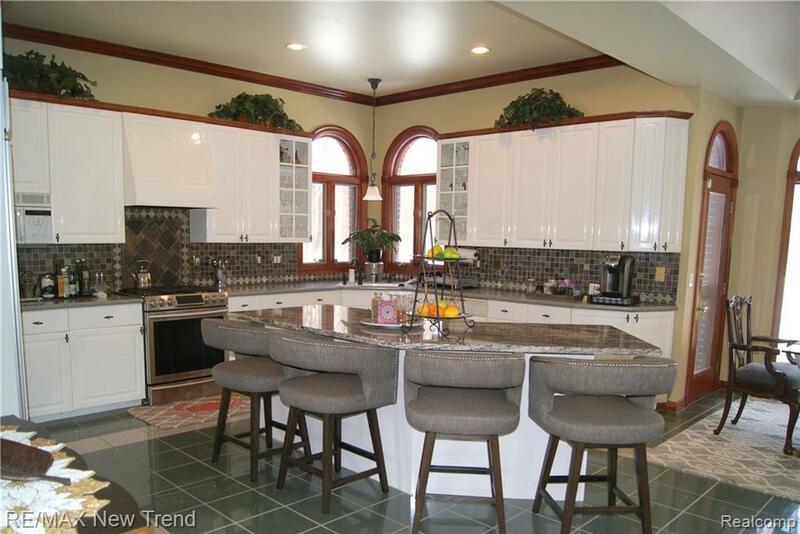 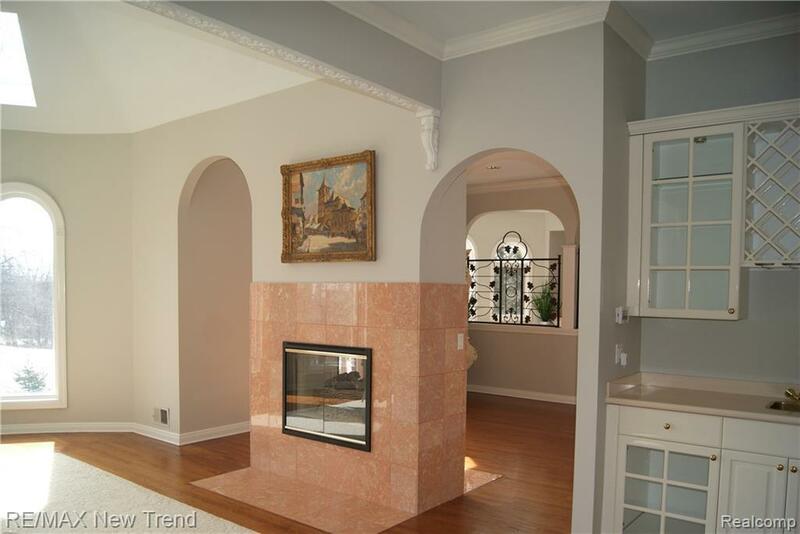 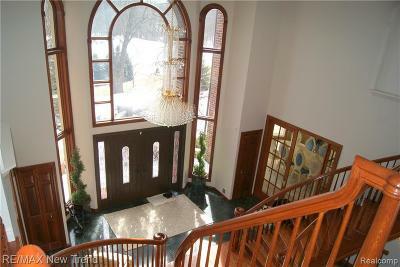 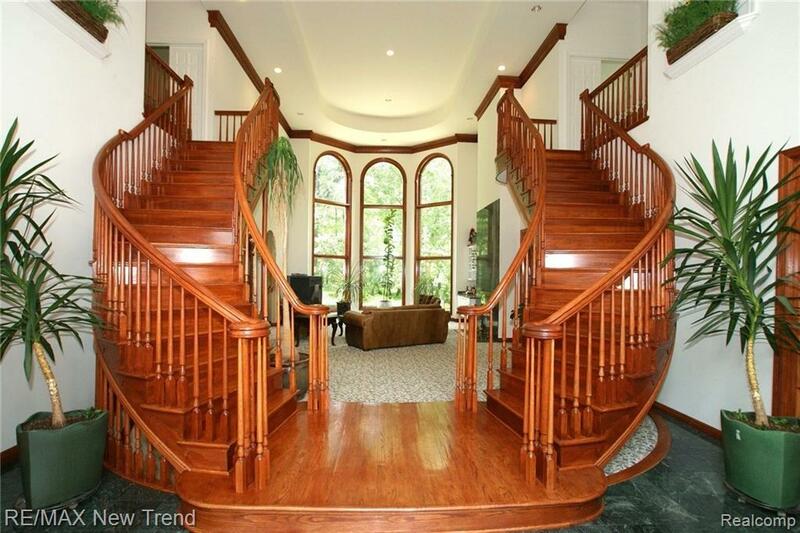 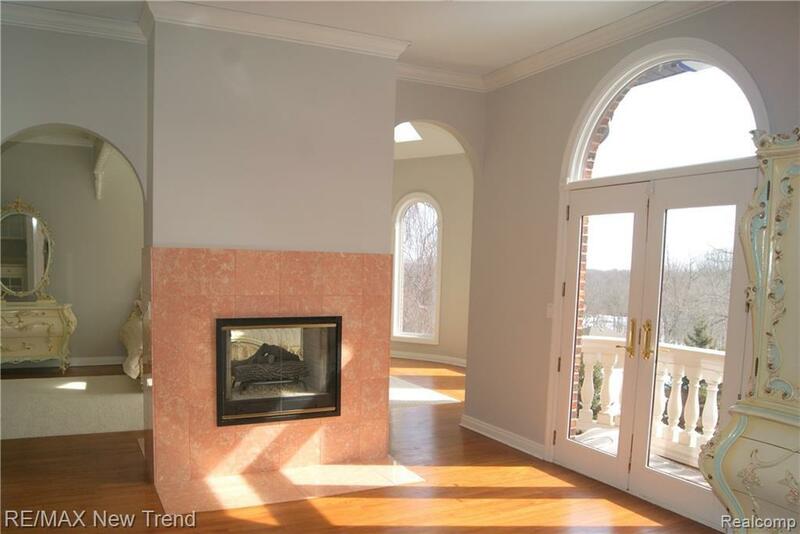 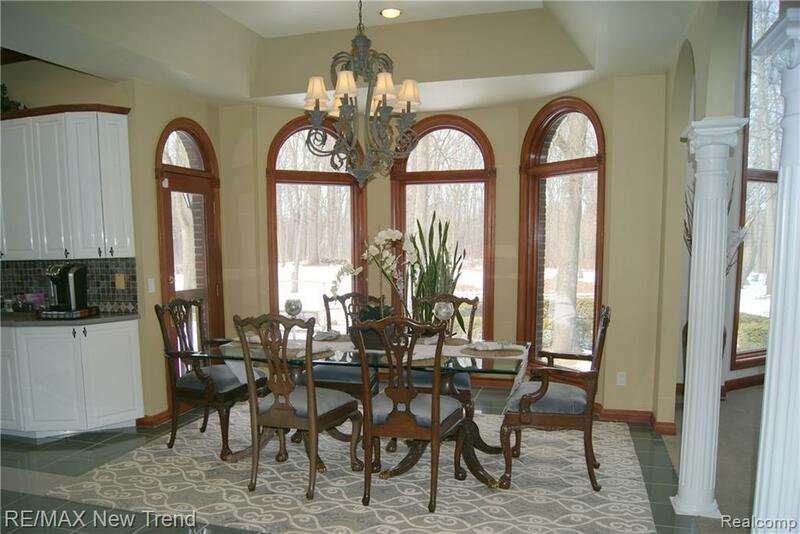 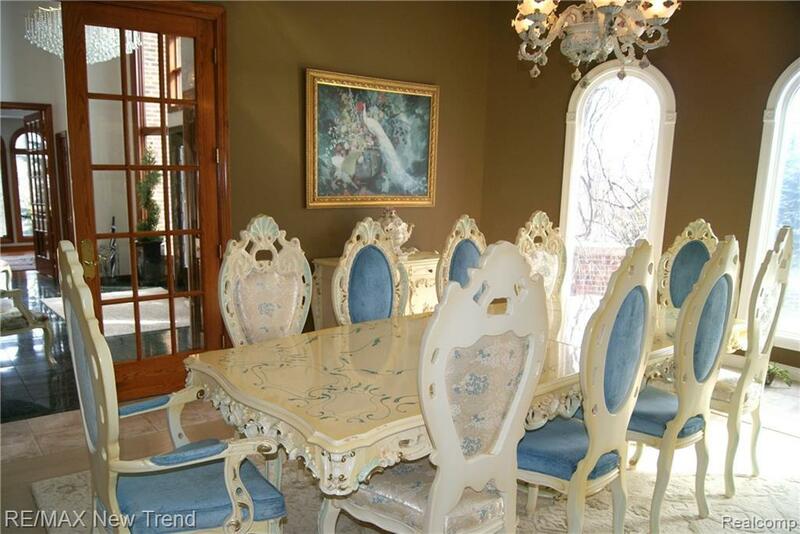 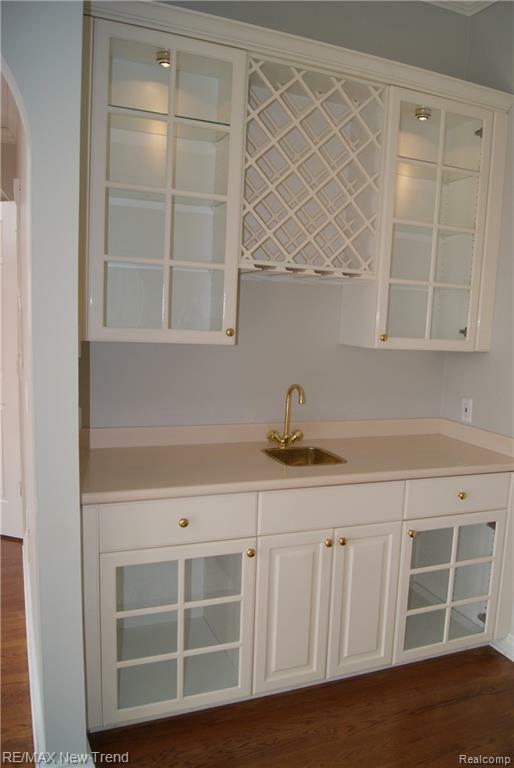 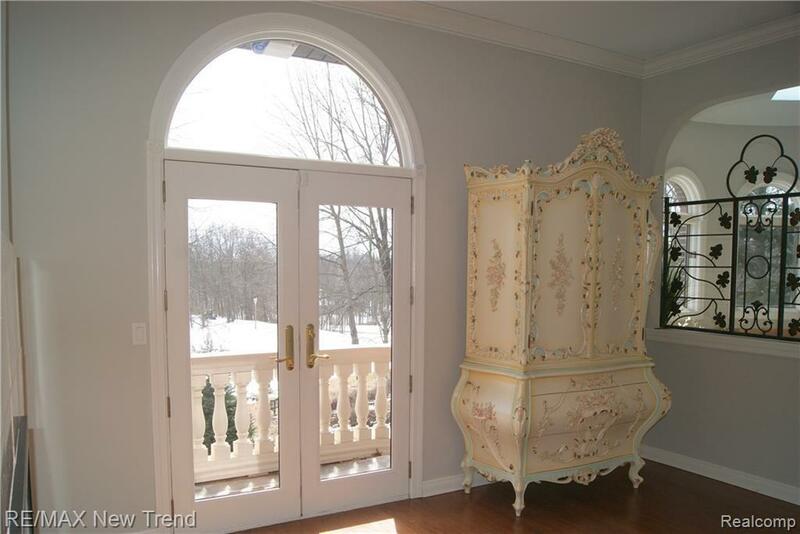 Elegant Dining Room w/ HW Floors & Butlers Pantry, Library w/ HW Floors & French Doors. 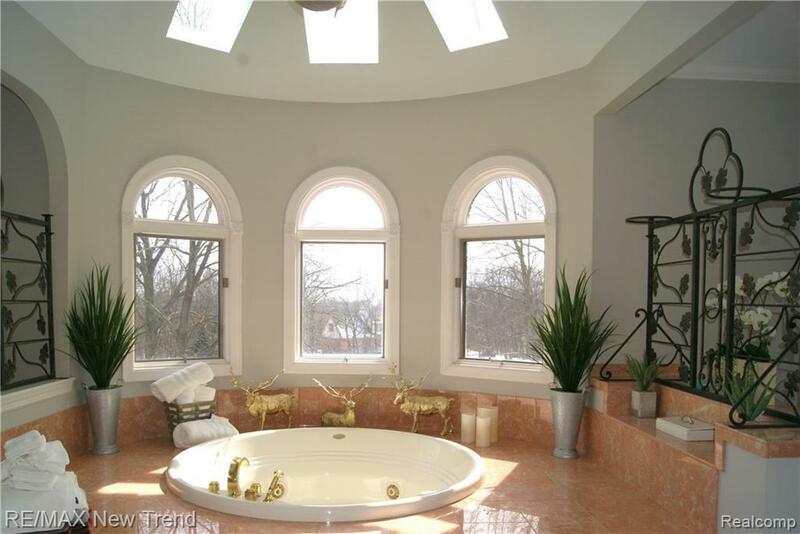 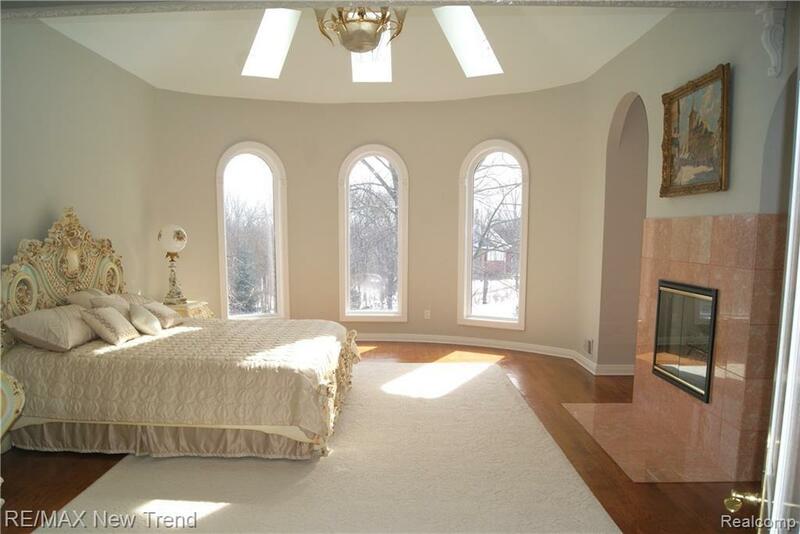 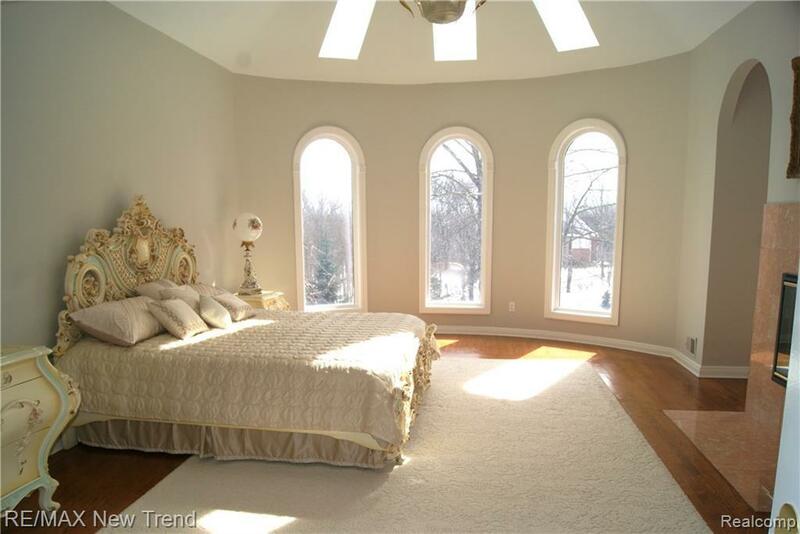 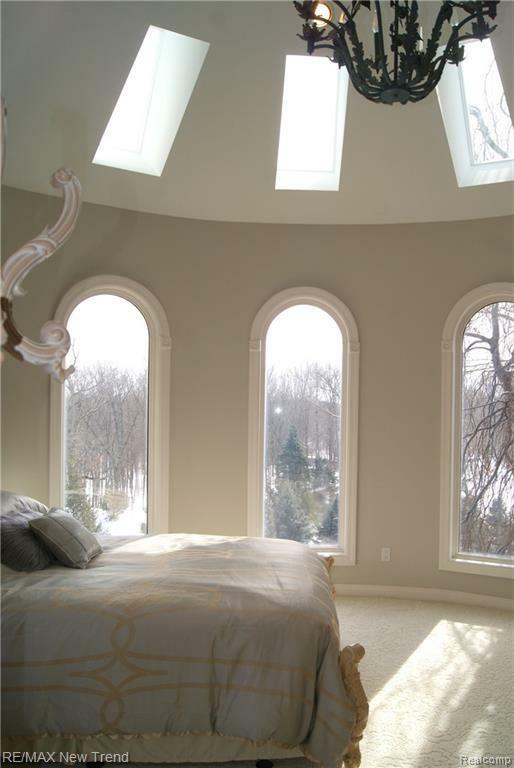 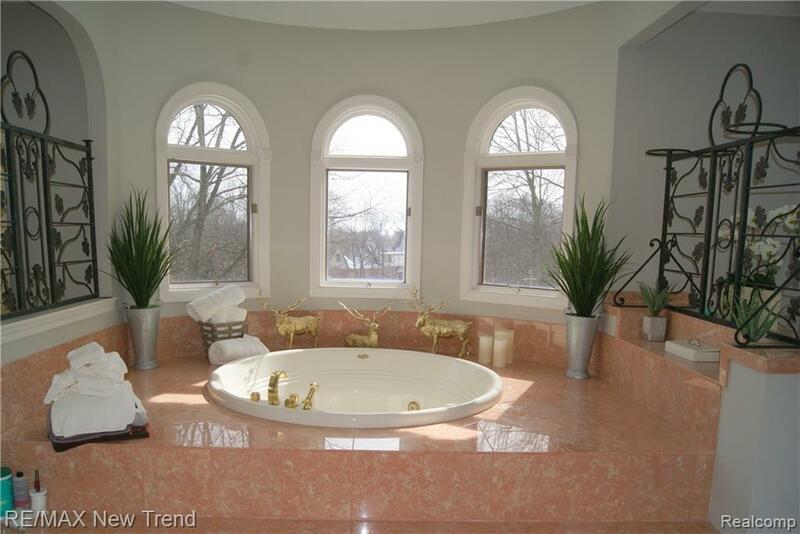 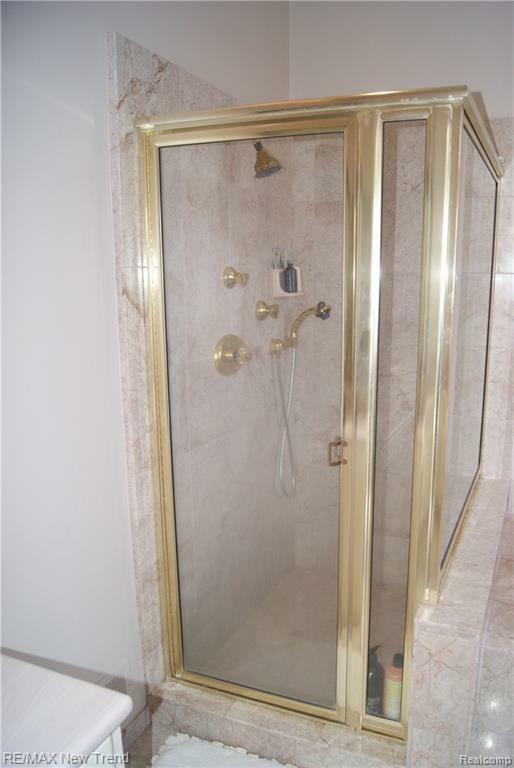 Spacious Master Suite w/ Dome Ceiling, Sitting Area w/ Two-Way Marble FP, Balcony, His & Her WICs, Luxurious Marble Bath w/ Jetted Tub. 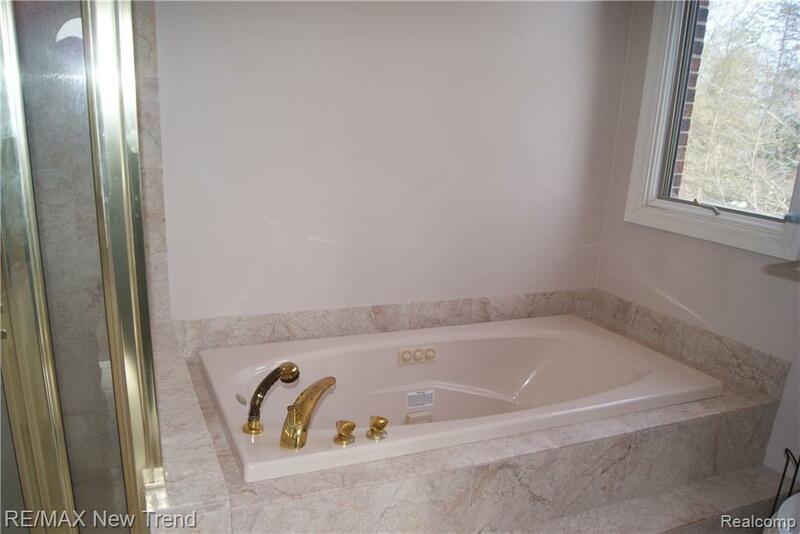 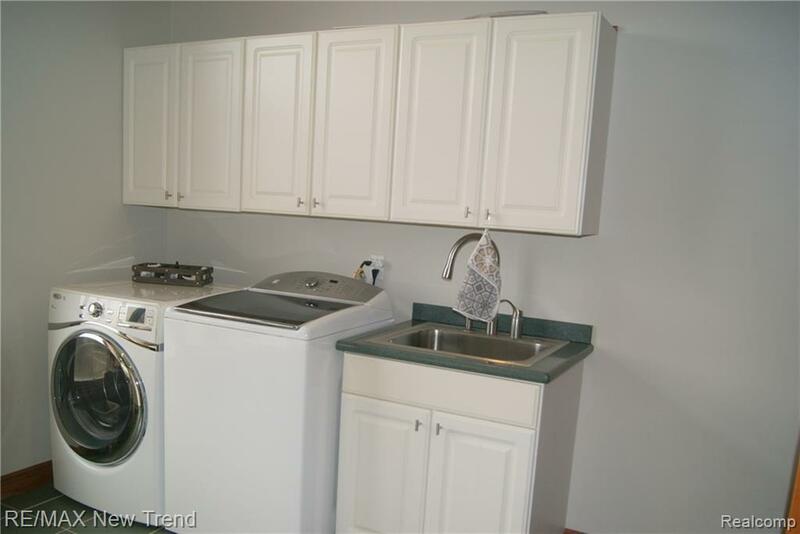 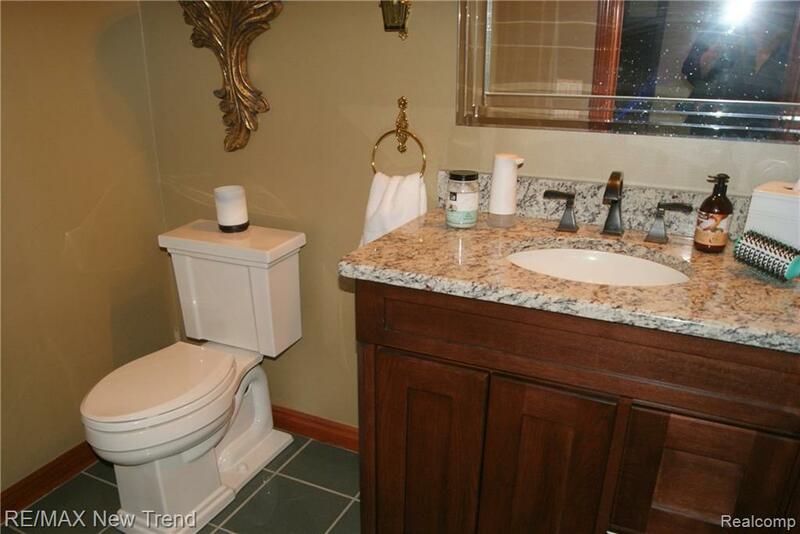 3 Additional Bedrooms w/ Baths. 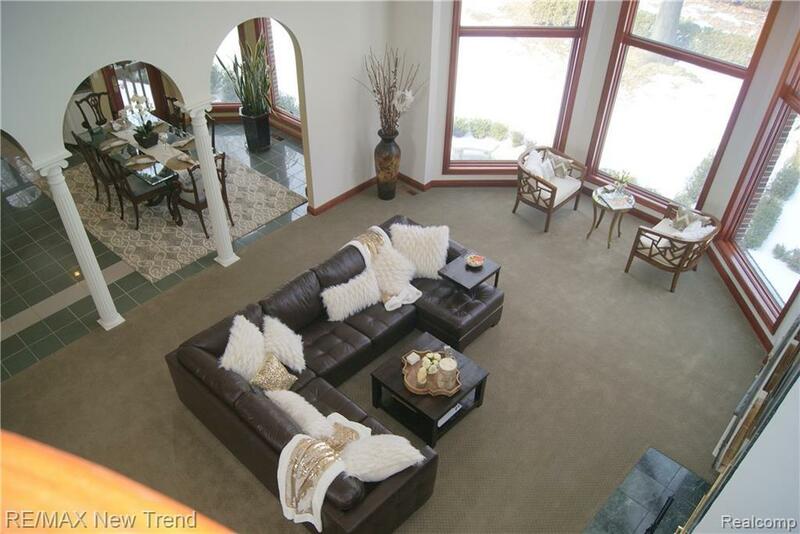 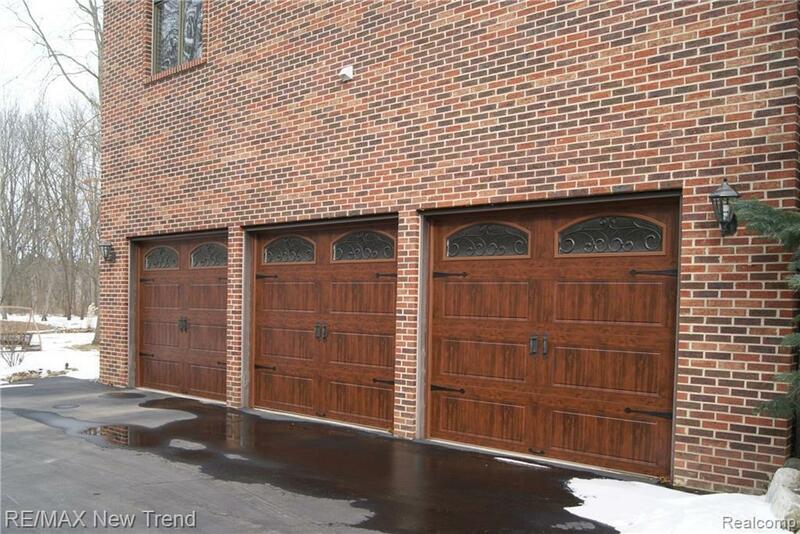 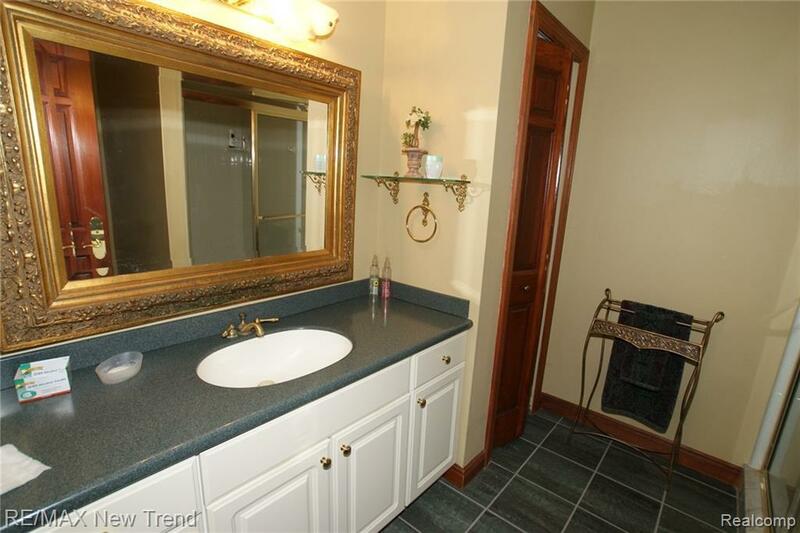 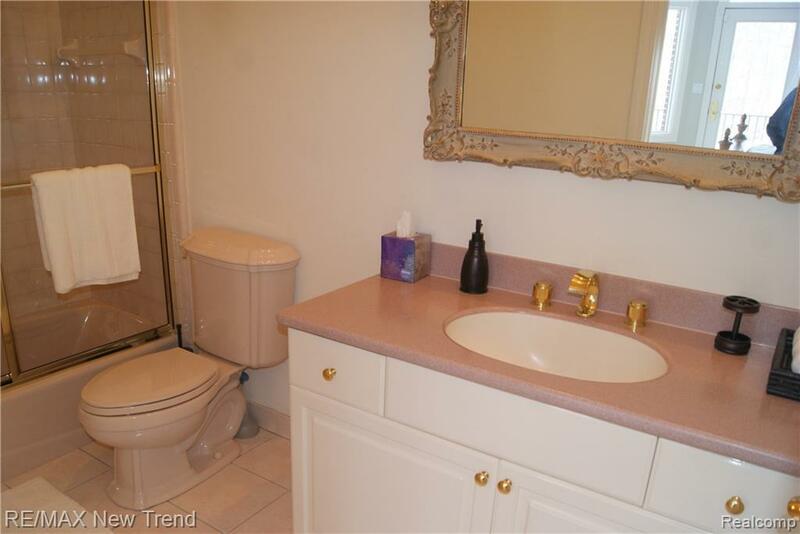 Fin Walkout w/ Rec Rm, 2nd Full Kitchen, Wet Bar, Bedroom, Exercise Rm & Full Bath. 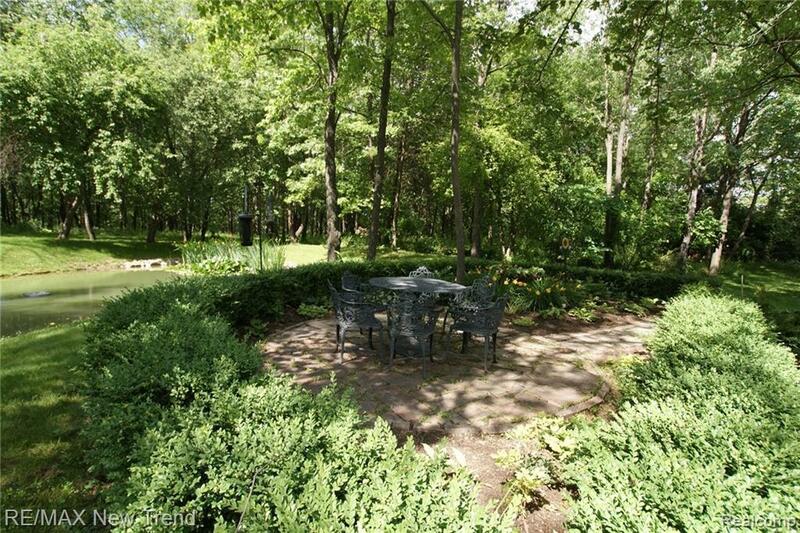 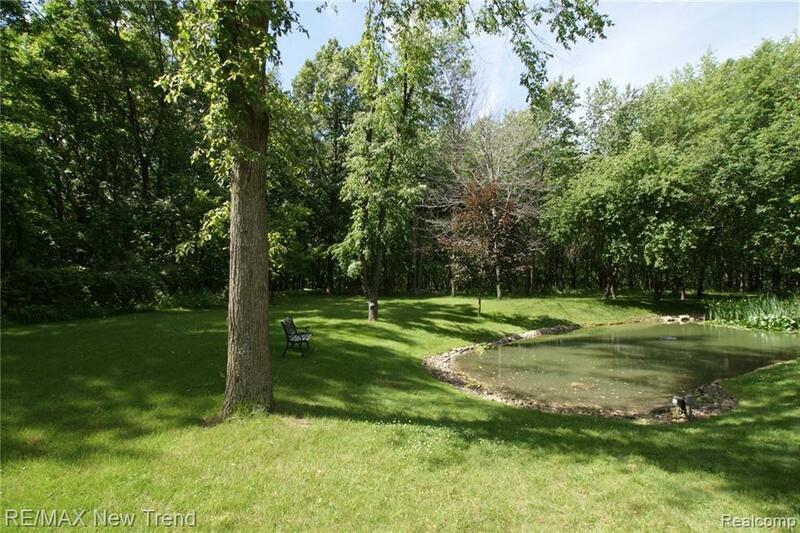 Gorgeous Patio & Backyard w/ Pond which Backs to Woods. 24-Hour Notice and Pre-approval Letter Preferred for All Showings. 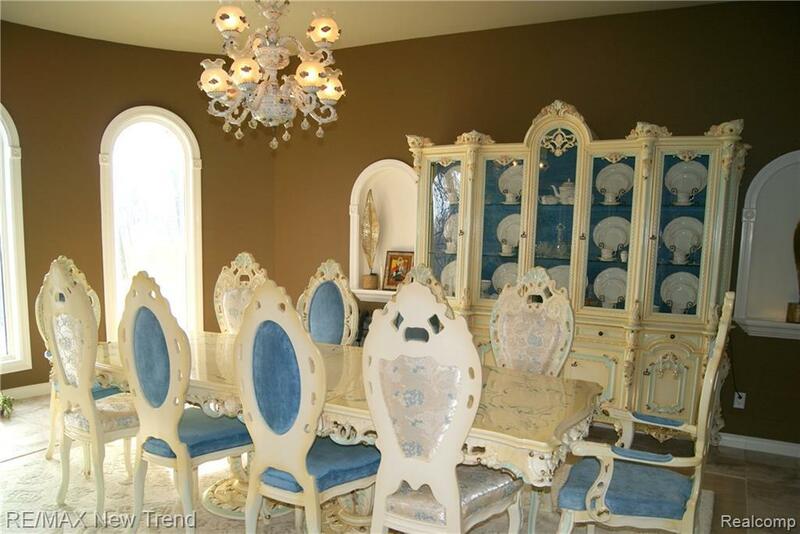 All M & D Approx. BATVAI.